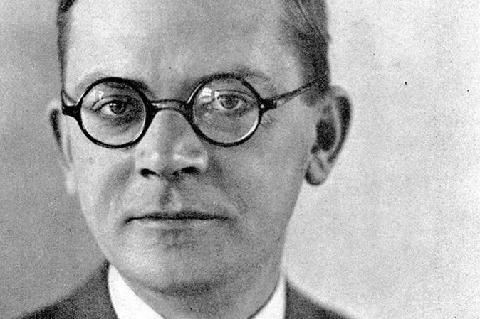 Unlike writers who fled the Nazis—Mann, Hesse, Brecht—Hans Fallada stayed in Germany, and paid the price with incarceration and madness. But his best four novels—all about normal, working class people trying to survive under dire conditions—are not only gripping dramas that are hard to put down. They’re deeply inspiring about the ability of the human spirit to survive. 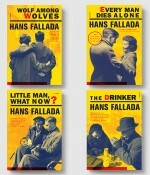 Before World War II, HANS FALLADA‘s novels such as Little Man, What Now? were international best sellers, on a par with those of his countrymen Thomas Mann and Herman Hesse. But Fallada opted to stay in Germany when the Nazis came to power, and eventually had a nervous breakdown under pressure to write anti-Semitic books. He secretly wrote The Drinker while in a Nazi insane asylum, and composed his anti-fascist novel Every Man Dies Alone just after the war, dying before its publication in 1947.